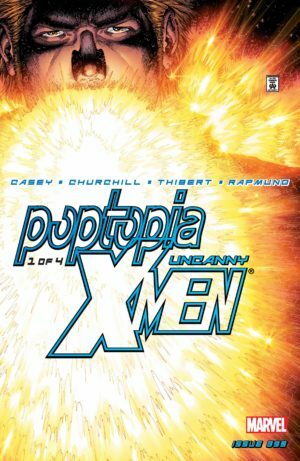 The definitive, chronological, and up-to-date guide on collecting Uncanny X-Men comic books via omnibuses, hardcovers, and trade paperback graphic novels. Part of Crushing Krisis’s Crushing Comics. Last updated November 2018 with titles scheduled for release through April 2019. The X-Men franchise reached a crossroads in 2001 that would forever alter its direction, but also usher in a decade of substantial runs penned by just five authors – all of which was collected upon initial release starting with issue #410! In 2001, the black leather costumes of the first Fox X-Men film now existed in the public consciousness, but X-Men comics of the period were a hard-to-parse mess of neon spandex. Not only that, but Marvel’s newly-launched Ultimate Spider-Man reimagining of Spider-Man for the modern day was proving to be massively popular. An Ultimate X-Men followed at the beginning of 2001. Together, these two changes allowed Marvel to experiment with the core of the X-Men franchise. Writer and actual psychedelic warlock Grant Morrison reimagined X-Men (1991) as the sci-fi, leather-clad, and frequently absurd New X-Men. Meanwhile, X-Force metamorphosed into X-Statix under the guidance of Peter Milligan and Mike Allred. What’s often forgotten is that Uncanny X-Men also relaunched at the same time. Twice, actually! First, Joe Casey took the reins for a similarly leather-bound an slightly-absurdist take on X-Men. Then, midway through Morrison’s run, Uncanny swapped to author Chuck Austen. Austen’s run is often reviled for its soap opera elements, as well as for deeply unpopular moments for Nightcrawler and Angel. Despite that, it remains very much in the Claremontian tradition of constantly churning conflict and romance, often introducing wild concepts from far outside the X-Men’s typical range of influences. Chris Claremont himself would return as Austen’s replacement with The New Age in 2004. While opinions remain split on this run, it’s certainly more popular than his prior return on “Revolution.” New Age finds Claremont intermingling new toys and old favorites, writing a team that includes Storm and Rachel Summers but also including Bishop and X-23. His run crossed the House of M event that would decimate Marvel’s mutant population, though he did not deal with the fallout. Ed Brubaker took over from Claremont with an audacious change in direction, following up on his Deadly Genesis mini-series by taking a core of X-Men to space for Rise and Fall of the Shi’ar Empire and then steering them towards a rebirth from the ashes of Messiah Complex. Though Brubaker wrote for an arc following Messiah Complex, the following era of the X-Men in San Francisco mostly belongs to Matt Fraction. 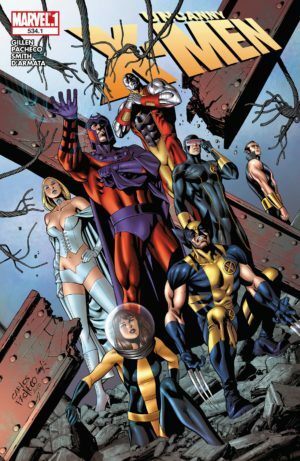 Fraction reimagines Uncanny X-Men less as a team and more as a society of mutants, with nearly every heroic mutant passing through the background panels of the book at some point in his run. He writes to the considerable crescendo of Second Coming, a resolution of the remaining threads of House of M.
Finally, Kieron Gillen gradually takes over from Fraction over the course of a year. Gillen slims down Fraction’s massive cast to one foreboding “Extinction Team” lead by the increasingly revolutionary Cyclops. His run continues into the next volume past the punctuation of Schism through to the following run of Uncanny X-Men, Volume 2. Marvel has yet to issue a single comprehensive omnibus of any portion of this decade-long run of Uncanny X-Men. That means the only oversize coverage is of major stories and crossovers that saw original release in oversize hardcover format. 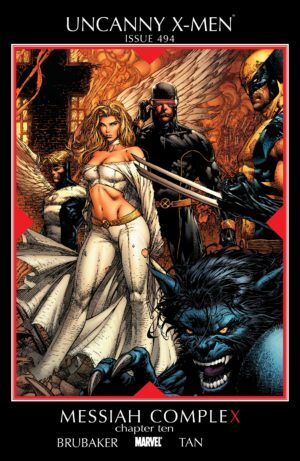 Prior to reading this collection consider picking up X-Men: Deadly Genesis, as the events of that mini-series have an impact on the Shi’ar storyline, which eventually evolves into the War of Kings crossover. Also collected in the War of Kings Omnibus. Also, see Marvel Universe Events for further collection as part of War of Kings. Collects X-Men: Endangered Species (2007) #1 and serialized back-up stories from New X-Men (2004) #40-42, Uncanny X-Men (1963) #488-491, X-Factor (2006) #21-24, and X-Men (1991) #200-204. It’s effectively a prelude to Messiah Complex (and has the same trade dress). The back-up from Uncanny X-Men (1963) #489 is also collected with Age of Apocalypse materials; see Marvel Universe Events. The first crossover event in over half a decade! Collects X-Men: Messiah CompleX One-Shot, Uncanny X-Men #492-494, X-Men #205-207, New X-Men #44-46, X-Factor #25-27, and X-Men: Messiah CompleX – Mutant Files. Collects Uncanny X-Men #500-503, X-Men FCBD #1, and material from X-Men: Manifest Destiny #1-5. Marks a huge milestone in the overall plot of the X-Men, and introduces Namor to the team. Collects Dark Avengers #7-8, Dark Avengers/Uncanny X-Men: Exodus & Utopia, Dark Reign: The Cabal, Dark X-Men: The Beginning #1-3 & The Confession, Uncanny X-Men #513-514, and X-Men Legacy #226-227. Collects Uncanny X-Men #515-522, Dark Reign: The List – X-Men, and Nation X #1-4. Collects Second Coming: Prepare, Second Coming #1-2, Uncanny X-Men #523-525; New Mutants #12-14, X-Men Legacy #235-237, X-Force #26-28. Collects 2011′s Uncanny X-Men, Namor, and Steve Rogers Annuals – but, its star is Hope. Begins April 2000, parallel to X-Men #99, X-Force #101, Wolverine #149, Cable #78, and Deadpool #39. Both New X-Men and X-Treme X-Men begin around issue #395. X-Force, Cable, and Deadpool end approximately at the end of this sequence – leaving X-Men and Wolverine as the only original X-book spinoffs still running. Joe Casey’s take on the X-Men is at once more standard and more unusual than Morrison – he pens familiar superhero fair through the lens of explores tabloid fame, the dissolution of the team, and even mutants as prostitutes. A standalone, off-beat adventure featuring Chamber. Also includes Annual 24/2001, which falls between #400-401. 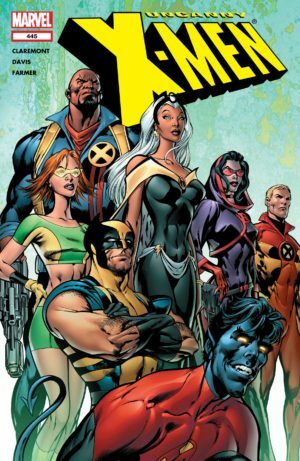 Features Banshee assembling a team from scratch, including appearances from other characters from the canceled Generation X. Begins October 2002, parallel to New X-Men #130, Wolverine #181, and X-Treme X-Men #16. This era ends at the same time as the end of Grant Morrison’s New X-Men run. This era of Uncanny is frequently slammed by fans, partially due to Austen’s propensity for soap opera dramatics in his plotting. Also, though the covers are largely striking, the same cannot be said for the interior art – even when handled adequately by Salvador Larroca the colors are wan. Due to a presumably tepid response, these trades are now out of print. Most complaints can be sourced to the lackluster team of leftovers from Morrison and Claremont’s pickings of first-stringers: Iceman, Angel, Nightcrawler, Husk, and a perfunctory Wolverine. Juggernaut and Northstar are amended (and generally well-characterized), later joined by Havok and Polaris (written rather poorly). However, if you turn your nose up at Austen, you’ll miss some big plot points – though many have been quickly forgotten: Angel’s secondary mutation, Husk’s time as an X-Man (and affair with Angel), Iceman’s transformation from flesh to ice, Nightcrawler leaving the church, Juggernaut’s turning good, Havok’s return to X-continuity, Polaris’s descent into madness, and the secret of Nightcrawler’s lineage. That’s a lot of major developments! Also collects X-Men Unlimited (1993) #44-45, which were not in the volumes as originally collected. Also collects New X-Men #155-156. 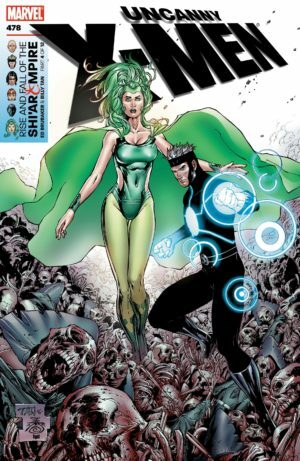 Begins in July 2004 concurrent with the X-Men Reloaded event -parallel to X-Men #157 and the launches of the Whedon/Cassidy Astonishing X-Men, Excalibur (vol. 3), and New X-Men: Academy X. Also, it was just two months into the run of Cable & Deadpool. In the Marvel Universe, House of M occurs halfway through the run. Writer Chris Claremont made a much-hyped return to Uncanny (along with artist Alan Davis) after largely staying away since his original, unbroken run of Uncanny X-Men #94-280, though he had been scripting spin-off X-Treme X-Men in recent years. Claremont’s return to the book was part of the “Reload” event, relaunching all of the X-titles at the same time to simplify storylines and continuity for new readers. The first three arcs are unquestionable the best combination of art and script Uncanny had seen in many years – some would say since the 200s! The team for these issues is far-ranging, but focuses mostly on Storm, Bishop, Wolverine, Nightcrawler, and Marvel Girl AKA Rachel Summers. X-23 makes frequent appearances, as does a revived Psylocke (a favorite of both Claremont and Davis). This group of characters is stunningly rendered by Davis, who developed the definitive Nightcrawler and Marvel Girl during his years on Excalibur. It must be said, the coloring is also exemplary. Unsurprisingly, Captain Britain also sneaks in. Chris Bachalo provides art for scattered issues in the run. Introduces X-23 to X-Men continuity after she debuted in the NYX mini-series. Heavily featuring Storm and Rachel Summers. Also collects Secrets of the House of M. Occurs entirely in the alternate House of M reality. Primarily stars Captain Britain. See Marvel Universe Events for more information. If you are a fan of Rachel Summers this storyline is a must-read. Begins in July 2006, parallel to X-Men #188, the beginning of the Wolverine Civil War arc in #42, Cable & Deadpool #28, New X-Men (Academy X) #26, X-Factor #7, the launch of Wolverine: Origins, and during the run of Astonishing X-Men #13-18. In the Marvel Universe, it begins in the midst of Civil War. Ed Brubaker’s turn at the writer’s seat is a peculiar blend – one massive space blowout (to jettison characters Havok, Polaris, and Rachel Summers, seemingly by editorial mandate), followed by a sweaty sewer braul with the Morlocks. The following Messiah Complex cross-over sets the stage for a re-launch of Uncanny X-Men as the core of the X-Universe, rather than the fringe. A prologue to Ed Brubaker’s run, this solves the long-gestating question of the third Summers brother. Also available in hardcover. Reprinted in paperback in 2018. This has also been collected along with War of Kings material; see Marvel Universe Events. Prior to reading this collection consider picking up X-Men: Deadly Genesis, as the events of that mini-series have an impact on the Shi’ar storyline, which eventually evolves into the War of Kings event. This has also been collected along with War of Kings material; see Marvel Universe Events. Collects X-Men: Divided We Stand (2008) #1-2, a two-issue anthology series detailing the lives of the fractured X-Men community. Also collects X-Men: Messiah Complex – Mutant Files (2007) One Shot. The Nightcrawler story from issue #1 is collected with Matt Fraction, below. The Havok story from issue #2 is also collected with War of Kings material. 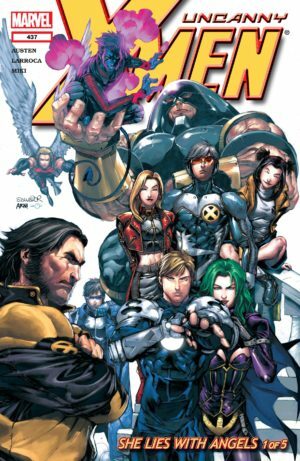 Begins in April 2008, parallel to the transformation of X-Men (vol. 2) into X-Men Legacy and the launch of X-Force (vol. 3) and Cable (vol. 3), as well as Wolverine #63, X-Factor #28, Wolverine: Origins #22, and after the final issues of Cable & Deadpool and New X-Men (Academy X). Warren Ellis’s run on Astonishing X-Men begins sometime after #503. In the Marvel Universe, it begins just prior to Secret Invasion. 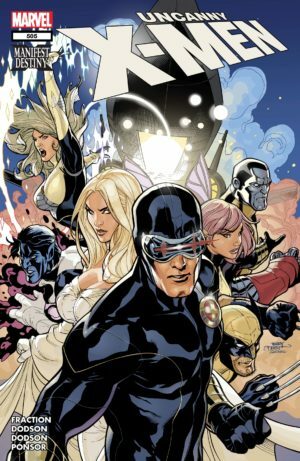 Two years before Marvel could tout their line-wide relaunch with The Heroic Age in 2010, Uncanny X-Men began an impressive new era of storytelling, helmed by Matt Fraction. (Actually, Brubaker continues scripting duties on the first trio of issues, along with Fraction). Fraction worked with alternating pencilers Greg Land and Terry Dodson, though classic 90s artist Whilce Portacio contributed #522. Longtime fans generally despise the creative team, reviling their decompressed storytelling, focus on Scott and Emma, and generic (frequently traced) females. All that said, Fraction is a longterm plotter who relaunched Uncanny as the centerpiece of X-Men continuity rather than a obligatory collection of less-popular characters. He also successfully transfered the X-Men to San Francisco (their first major scenery change since Claremont shipped them to Australia), mining the new setting for fresh stories between editorially-mandated arcs. Also includes Annual 2; material from X-Men Unlimited (2004) #9, and X-Men: Divided We Stand #1. Most likely also collects Dark Avengers #7-8 and Dark Avengers/Uncanny X-Men: Exodus & Utopia. Also collects #526-534 and Uncanny X-Men: The Heroic Age. Collects Wolverine: Manifest Destiny (2008) #1-4, X-Men: Manifest Destiny Nightcrawler (2009) #1, and material from the anthology series X-Men: Manifest Destiny (2008) #1-5. Also available in oversized hardcover. Fits after #503. Collects X-Men: Secret Invasion (2008) #1-4 and Fantastic Four (1961) #250. See Marvel Universe Events for more information on Secret Invasion. The annual falls at the end of this run. Collects Uncanny X-Men #515-522, Dark Reign: The List – X-Men, and Nation X 1-4. Material from Nation X #2 also appears in X-Men Origins: Gambit. Begins in September 2010 parallel to X-Men Legacy #238, X-Factor #207, and New Mutants #15, and just before the debut of Wolverine, Vol. 4, Daken, X-23, and Uncanny X-Force. In the Marvel Universe, The Heroic Age starts at the same time as this era. Chaos War occurs between Quarantine and Breaking Point. 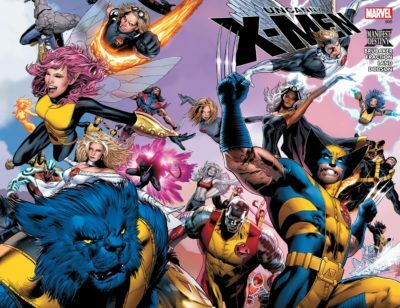 The landscape of X-Men changed significantly with the conclusion of Second Coming – some major characters died, and Hope joined the fold of present-day characters. Matt Fraction began his transition off of Uncanny with #526, co-plotting and then co-writing with Kieron Gillen – who had created all of the new “Five Lights” mutants in anticipation of writing Generation Hope. Gillen is a much swifter, more comedic scripter than Fraction – and he’s consistently widening the scope from Emma, Scott, Namor, and Magneto to include Kitty, Colossus, and other regular characters. Also collects #520-522 and Uncanny X-Men: The Heroic Age. Introduces the characters launched in the new Generation Hope series. Also collects Uncanny X-Men: The Heroic Age One Shot. This was co-plotted by Kieron Gillen, though he is uncredited. Continued in Generation Hope. The backup story from #526 is collected along with Young Avengers: Childrens Crusade. Collects the X-Men: To Serve And Protect (2011) #1-4 anthology series. Fraction and Gillen share scripting duties on this arc, which features a fairly wide array of characters. Does not require reading the main Fear Itself series to appreciate. Schism occurs between #543 and #544, which is the final issue of Volume 1 of Uncanny X-Men. Also available in hardcover. See Marvel Universe Events for more information about Fear Itself. #512-519 — Just a minor note, the collection definitely includes: UNCANNY X-MEN (1963) #512-519, DARK AVENGERS/UNCANNY X-MEN: UTOPIA & EXODUS, DARK AVENGERS (2009) #7-8, DARK REIGN: THE LIST – X-MEN and material from DARK REIGN: THE CABAL.